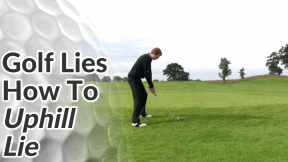 In this video we’ll cover the downhill lie in golf. 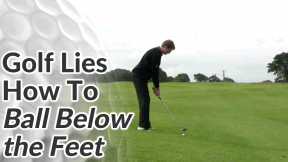 Similar to a ball below feet lie, the downhill lie is one that most amateur golfers struggle with. It’s easy to hit the ball thin or fat and the down slope de-lofts the club flying the ball lower and often further than normal. 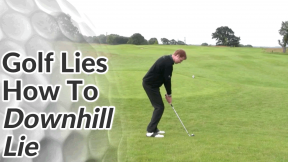 The downhill lie is probably the most difficult sloping lie for amateur golfers. There’s a tendency to hit the ball thin or fat. Firstly, align your shoulders with the slope. Try to keep your spine angle at right angles with the ground by tilting your spine towards the ball. 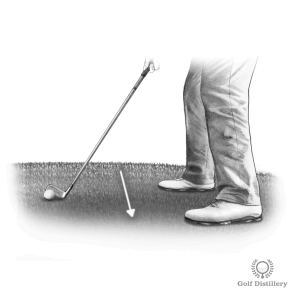 Place the ball slightly back of center in your stance and place a bit more body weight on the front foot. 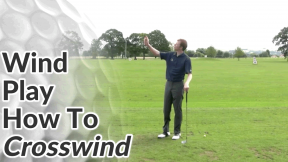 This will help you to strike down on the ball, preventing a thin contact. 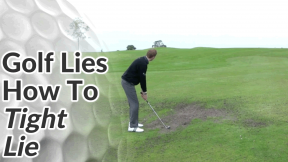 Really feel as though you are chasing the ball down the slope through impact. 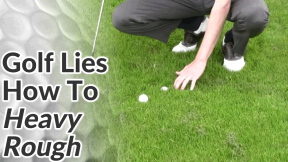 A golf ball on a downhill lie won’t fly as high. 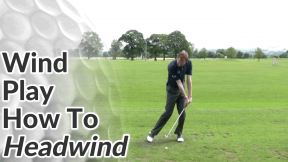 The slope has the effect of de-lofting the club so a 7-iron will fly more like a 6-iron. 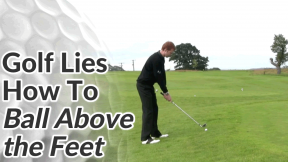 Bear this in mind and perhaps take a more lofted club than you normally would for the distance. The ball won’t spin as much on the green either.